Half of my students worry whether they should take the computer-based CAE exam, and the other half have no idea there are two choices. While there is no difference in the content of the exams, there are some pros and cons. If you've spent a year preparing for the exam by highlighting or underlining keywords, then it makes sense to do the paper-based exam. You can't use a yellow highlighter on a computer screen! (There is a highlight function on the computer test, but I think it's not very practical. See the video below.) And if you've been doing the writing papers by hand you're probably used to it. 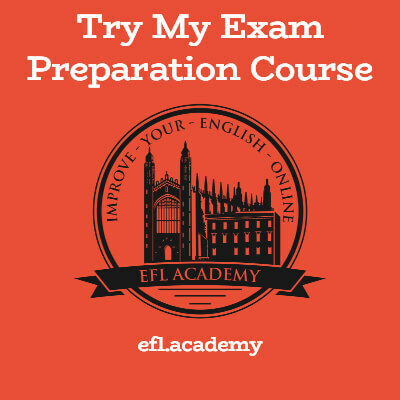 It makes sense to do the exam the way you have been preparing. The computer-based exam has several advantages. First, when doing the writing test you can see the word count. Useful! If you're used to using a computer to write emails, or if you've been doing all your writing practice on the computer then it makes sense to do the computer-based test. The main benefit is that with the computer-based test you'll get your results much much faster - weeks instead of months. Another point - one that will vary from location to location - is the quality of the audio in the listening test. In the paper version, the audio is played from a CD player in one corner of the room. That means there's a chance of poor sound quality, echo, distortion etc., plus your fellow candidates coughing and sneezing at key moments. In the computer based test you get your own headset. Fewer distractions, better sound quality, and you can adjust the volume. If you think the computer-based test is for you, watch this video so you know how to do it and what to expect.